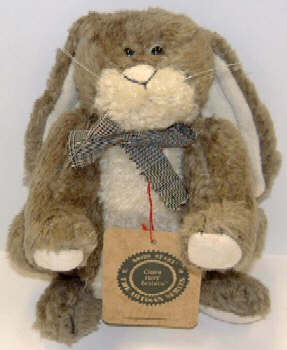 7" Plush Rabbit; Issued in 1996 and retired in 1997; This is a 7" grayish rabbit with a ribbon around his neck. He isvery old and is in great shape. catalog value $37.00..